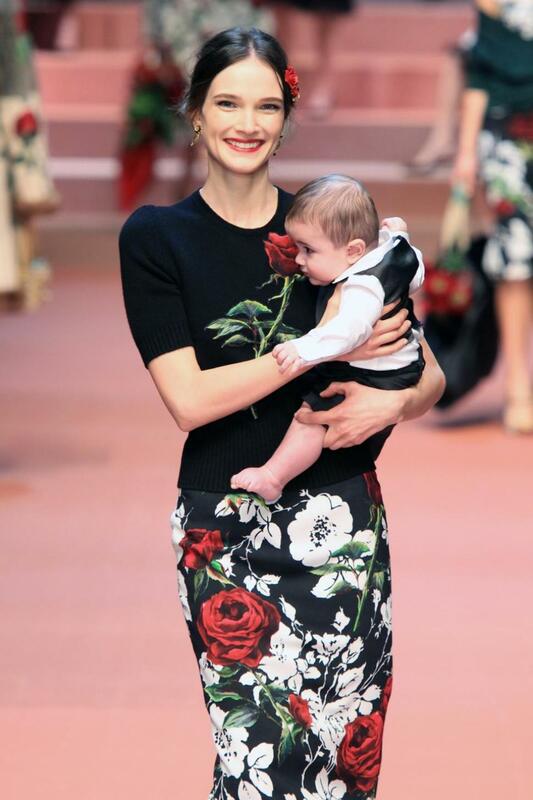 One doesn’t always expect kids, pregnant moms and doodled dresses on a runway, but that’s what Dolce & Gabbana unrolled at their fall/winter 2015 collection, which showed in Milan yesterday. The show, called “The Mother”, explored “how the mother is the heart of the family”. To the tune of “Mama” by the Spice Girls, three models carried their kids down the runway (all wearing little D&G outfits), and model Bianca Balti walked pregnant with her second child. 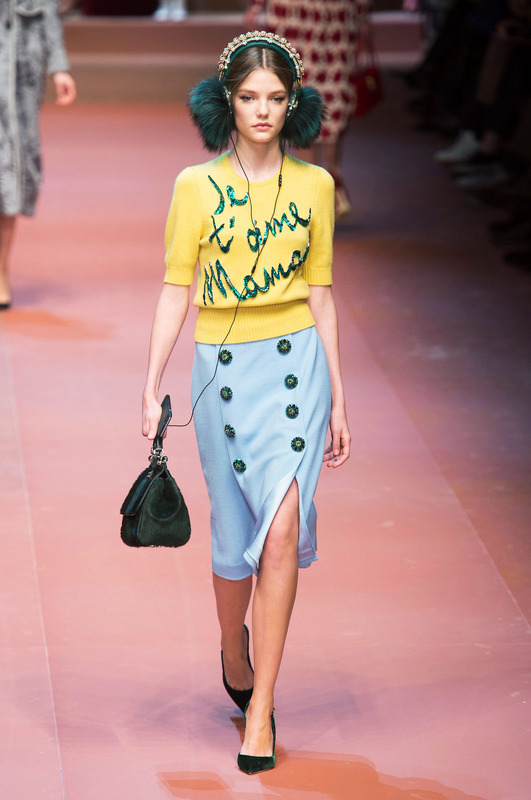 The range included dresses with pictures of the Madonna and Child, tops with the phrase “Mamma,” and prints based on drawings by the designers’ nieces and nephews.